YOU DIE…BUT I LIVE is a 1967 spaghetti western starring Terry Jenkins and Enrico Maria Salerno in that age old tale of the student surpassing the master. At the beginning, we see a young man tossed off a train, his saddle kept as “payment” for the ticket he didn’t buy. Then the train is hit by the Billy Kane gang, who proceed to rob and slaughter everyone aboard. Kane never leaves witnesses. But the outlaw had a reason for taking this train. He knew that a notorious gunman was there after him. Richard Martin is an elegantly dressed gentleman and he steps off to face Kane. The pupil has gotten better since they last met, such that he slices Martin’s holster from his belt and leaves the old master with a bullet through each hand. When next we see Martin, it’s three years later and he’s a shell of the man he used to be, reduced to a carnival barker hawking the trick shot artist he’d taught all his skills. Kane, amused by it all, kills the young shooter and heads to the bar for a drink. Enraged, Martin goes after him and in the ensuing fist fight with the gang, a stranger takes a hand on Martin’s side. Ricky Sharp is the name he goes by and the two men hook up, once again a master with a student. Martin wants him to get good enough to stop Kane and his gang, but Ricky has his own agenda with Billy Kane. He was the young man thrown off the train and the knife from his saddle was used to kill. You can probably figure how the rest goes. 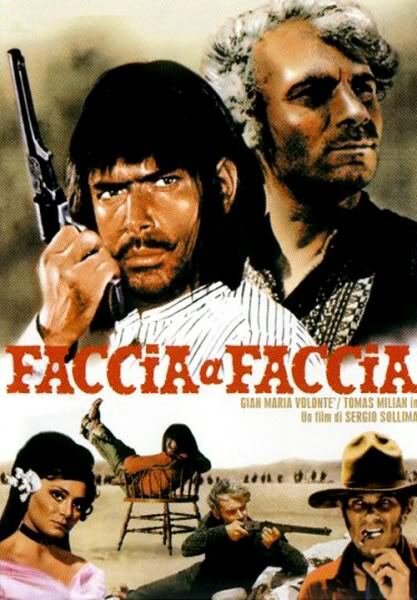 A pretty good western with nice background music by Egisto Macchi and directed by Massimo Dallamo, names with which I’m not familiar. A little research tells me that Dallamo had worked with Leone on the “Dollar” pictures and actor Salemo had dubbed the Italian for Eastwood on those same movies. The cinematography is very good(Dallamo did his own) and the movie has that look that sets it apart from most spaghetti westerns. Recommended. So far it has been a so-so weekend for me in NFL games. The ‘Skins lost to the Lions 19-14. As much as I’ve felt for Lions fans, and wished them some wins, WHY did it have to be against my Washington boys? The state of that team hasn’t been very good since Daniel Snyder bought the franchise. He seems more enamored with the flavor of the week in coaches and players than someone who can do an effective job. Reminds me a lot of George Steinbrunner in the old days with the Yankees. That was before he learned to let real baseball people run things. Both Snyder and Steinbrunner, when they bought their teams, seem to think that imbued them with some kind of knowledge aboutr running a sports franchise. Neither of them would have ever considered putting someone in charge of their businesses that had so little knowledge about the company. Ah well, maybe in ten years or so(shudder), Snyder will grow to learn better. Better luck with my Jets though. They prevailed over the Titans 24-17 for a 3-0 record. They look good, though I keep waiting for the other shoe to fall. Since the Super Bowl championship in 1969, they haven’t done much. A couple of times, they started well, only to fizzle at the end. The Panthers, I want to say, played bad tonight, but that might be giving them more credit than they deserve. The defense had a decent game, but the offense, especially in the second half, was virtually nonexistent. 7-0 Panthers at halftime, the offense checked out in the second half, not recording a first down until the fourth quarter. Jake ended up with two interceptions and a fumble. The commentators all agreed that the two picks were not his fault and the fumble came in the last minute when DelHomme was being sacked on a fourth down play. So the ball was Dallas’ anyway. So the blonde went home, got onto her knees, and tried it out. Nothing. She blew harder. Still nothing. Even harder. Zip. Her roommate, another blonde, came out and asked what she was doing. The first blonde explained what the shop owner had told her. 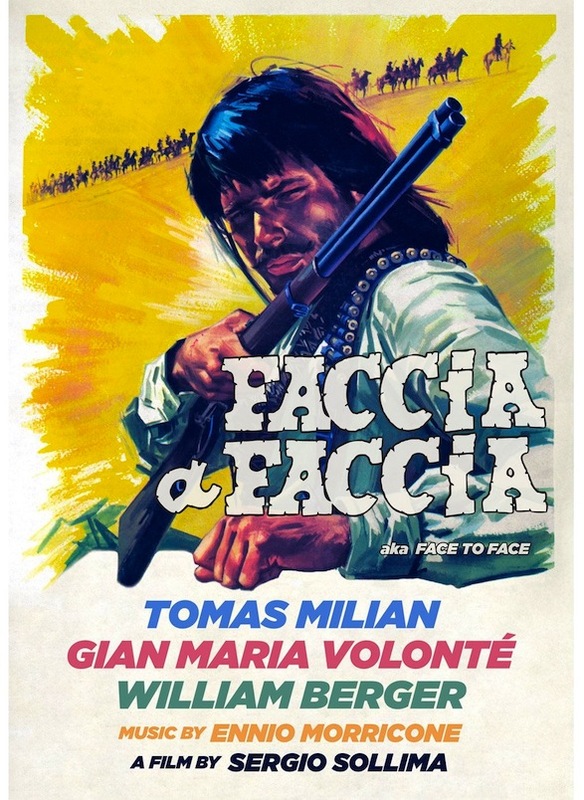 Face To Face is a 1967 film that starred Gian Maria Volonte, Tomas Milian, and William Berger. all veterans of the spaghetti western genre. It’s ranked among the best of those type of westerns. Volonte plays Professor Brett Fletcher, a shy, unassuming Boston teacher who resigns his job and comes to Texas for his health. Though they never name an illness, they mention lungs one time and he coughs a lot. So it was likely tuberculosis. 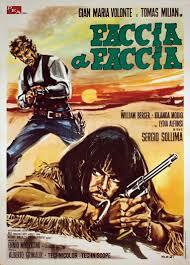 Tomas Milian is Solomon “Beauregard” Bennet, an outlaw gang leader, a killer. Berger plays a real life western character, Charlie Siringo, a Pinkerton agent who was one of the first to specialize in undercover work, infiltrating outlaw gangs. There are a number of other veterans of the spaghetti genre filling minor roles sprinkled throughout the film. You know the type, recognize the faces but can’t put a name to them. Resting at a stage stop when a coach with a posse brings in Bennet, Fletcher takes pity on the outlaw when he begs for water. That’s all Bennet needs as he uses the clay jug to club a deputy, grab his gun, and escape, taking Fletcher hostage as he does, catching a bullet as they flee. At a small hideout loaded with supplies and medicines, Fletcher removes the bullet and, as Bennet recovers, the two men start to like each other, having long discussions about right and wrong. Fletcher, the educated, honest man, has an effect on the career criminal. And vice versa. That is the heart of this movie, the changes in the two men as they move in opposite directions from what they’ve been all their lives. Bennet is consumed with reuniting the survivors of his scattered band, Bennet,s Raiders, and wants the Professor to return to Boston. The life of an outlaw is not for such a man. It doesn’t work that way though. And Siringo is biding his time waiting for the gang to reassemble so that he can get them all. Fletcher uses his intellect to meticulously plan a bank robbery that goes bad when Siringo gets word to the law and Bennet is captured. Fletcher takes command of the gang and becomes more greedy than Bennet had ever been. He’d finally found that ambition he was always lacking in Boston. Throw in a vigilante band, a group of innocents escaping across the desert, the two men confronting those vigilantes, and Siringo stepping in at the end, the final act reveals a lot about the character of the three men. 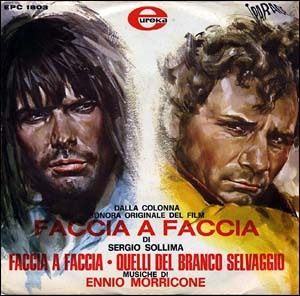 The movie was directed by the third Sergio of spaghetti western fame, Sergio Sollima(whose two other westerns, The Big Gundown and Run, Man, Run are also favorites), and the music is by the incomparable Ennio Morricone. I enjoyed this one and would recommend it to fans of this type of film. I wasn’t familiar with Amy Grech’s work before reading this collection of fourteen stories, her second book of tales. There’s a wide variety here, all of them in the horror vein. There are no exotic monsters. Well, maybe one. The scary ones in these stories are all too human. The stories are infused with a sexuality/dark attitude that reveals secrets that lie beneath the surface of a lot of people. Most of us have the moral sense not to let such demons escape. Grech shows what can happen when such people are unrestrained. And there are all to many like that loose in the world. We see it every day on the news. Amy Grech’s style is pretty straight forward, something I appreciated as I read the book. No distractions as I tried to see where each tale was headed. More often than not, I was surprised. Some of my favorites were the title story in which a handicapped child gets a very special Christmas gift, ASHES TO ASHES where a husband’s wedding vow to never leave his wife is truer than you might believe. PREVENTION MOTHER shows the folly of favoring one child over another. In CROSSHAIRS, a young boy goes to extraordinary lengths to please father. APPLE OF MY EYE centers on an odd relationship. PERISHABLES and EV 2000 are futuristic tales. In the first, where do you turn in a post holocaust world when the canned foods lose their taste? And the inventor of a computerized blood donation machine learns the folly of such an endeavor. A nice collection of stories. There were a couple I didn’t care for, but that’s not surprising. The next reader might have a whole different set of likes and dislikes. Grech has a nice site here. Check it out. I’m glad I read this book and would recommend it to anyone who likes horror. My selection for Forgotten Books this week is THE MOONSHINE WAR by Elmore Leonard. This is a new read for me, though I saw the movie based on it many years ago. Only one time and I remember quite a bit. Leonard wrote the script and it keeps pretty much to the book. The cast was a bunch of familiar faces and names. Some of the actors with bit parts were Teri Garr(very young), John Schuck, Bo Hopkins, and Harry Carey, Jr.
It’s 1931 and John W. “Son” Martin(Alan Alda) is a moonshiner. His father was before him. One day an old buddy of his from his army days shows up, Frank Long(Patrick McGoohan). Son knows exactly why he’s here. He’s a federal agent now, a revenuer, and Son remembers talking in some of their drunken bouts about his father’s stash: a hundred and fifty thirty gallon barrels of Kentucky moonshine that had been aging for years and worth $125,000. Long doesn’t want it in his capacity as a Federal agent. He just wants the profit. He calls in Dr. Emmett Taulbee(Richard Widmark), ex-dentist, ex-con, now a bootlegger, to help him get it. Taulbee brings a small army of gunmen, led by a homicidal young man(Lee Hazelwood) to help. Son refuses to tell where it’s hid; only he and Aaron, an old black man, knows. And neither of them is talking. So begins the war. They don’t touch Son, but raid all his friends and neighbors under the guise of Federal authority, breaking up stills, confiscating the moonshine they find, all to put pressure on Son. A group of the neighbors even come to Son and ask him to hand over the liquor. He refuses. His dream is to sell it and get out of the business, buying a farm and marrying. Leonard’s brisk, no-nonsense style is here, the man can tell a story. Reasonable prices can be found on most sites for paperback editions(there are several), but I was amazed at first edition hardcovers. Prices ranged from $500 to $1500. A blonde hurried into the emergency room of her local hospital late one night with the tip of her finger shot off. “How did that happen?” The emergency room doctor asked her. “Well, I was trying to commit suicide,” she replied. I an amused this morning as the site I posted on here has changed their tune. Yesterday the Tribulation was supposed to start. The beginning of the end of the world. They deleted yesterday’s date and all references to date became the fall of 2009, the time of The Tribulation. One wonders what they will do when winter sets in and it doesn’t happen. Will they change it to the winter of 2009, extend it into 2010, or will they just dump the whole idea as a bad deal. How long will they pretend to know such things? As I stated yesterday, I’m not making fun of anyone’s religion, just these idiots who presume they can put a date on such things. Believe or not believe, I think the arrogance of such people ia appalling. I sometimes wonder if such ideas are simply a ploy by some of these people to fleece more money out of scared people. The true believers. I see too much of that and that’s why I have no faith at all in televangelists. Except one(more later). The man would have none of it and when the Bakers had their fall from grace, he no longer wanted to speak of it. I don’t blame him. It was embarrassing for him. The one televangelist I always believed in was Billy Graham. Politics aside, I liked how he always preached a sermon in his TV appearances and wasn’t asking for money every other sentence out of his mouth. He never asked for set amounts, only donations, and would still send the books however little you might send. I don’t know what today’s televangelists are like as I will not watch them. I guess I’ve lost the faith.